2 Bedroom Flat For Sale in Liverpool for Asking Price £210,000. Entwistle Green are delighted to offer for sale this impressive two bedroom apartment which benefits from a full length balcony and floor to ceiling windows throughout the apartment which allows plenty of light and spectacular views of the river Mersey . 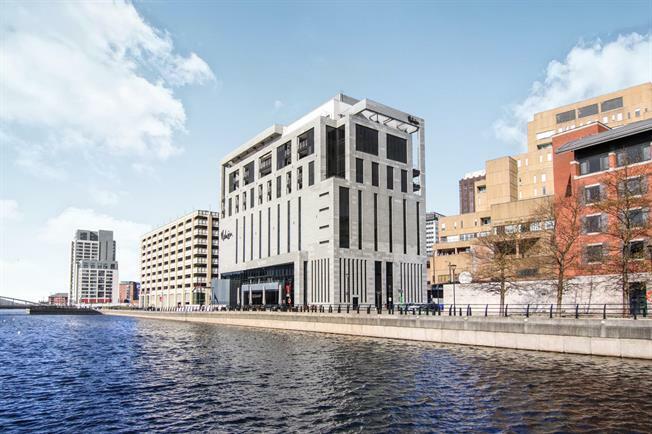 Situated on the 8th floor in the Malmasion development, located on the waterfront and is close to all amenities such as Liverpool One, local bars, shops and restaurants. The property briefly comprises of entrance hall, open plan lounge/diner, full length balcony, master bedroom with en-suite, bedroom two and family bathroom. Viewings are highly recommended to fully appreciate what this property has to offer. Large Balcony and Floor to ceiling windows to the front elevation with stunning and peaceful views of the Mersey. Electric heater, laminate flooring and spotlights. Kitchen area comprises of modern wall and base units, stainless steel sink, integrated electric oven and hob, integrated dishwasher, integrated fridge/freezer and spotlights. Floor to ceiling double glazed window to the front elevation overlooking the balcony. Access to en-suite, electric heater, laminate flooring and spotlights. Floor to ceiling double glazed window to the front elevation overlooking the balcony. Electric heater, laminate flooring and spotlights. Three piece suite comprising of low level WC, walk-in shower, wall-mounted sink. Heated towel rail, tiled flooring, tiled walls and spotlights.